Hello lovelies, happy Friday! 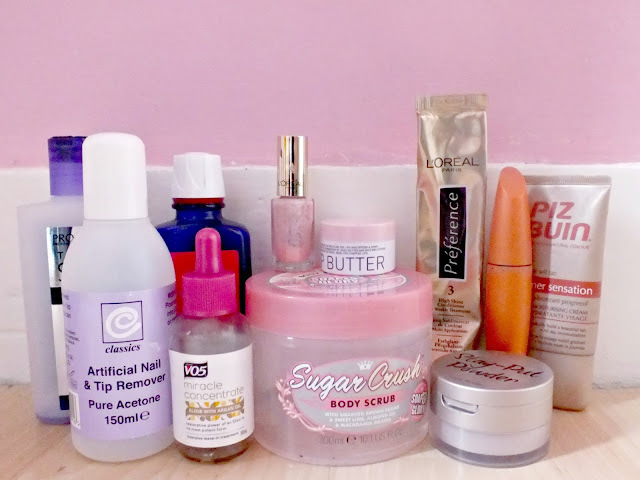 Today, I'm doing another empties post, as I've finished more bits and bobs than I expected to so I thought I'd share them. 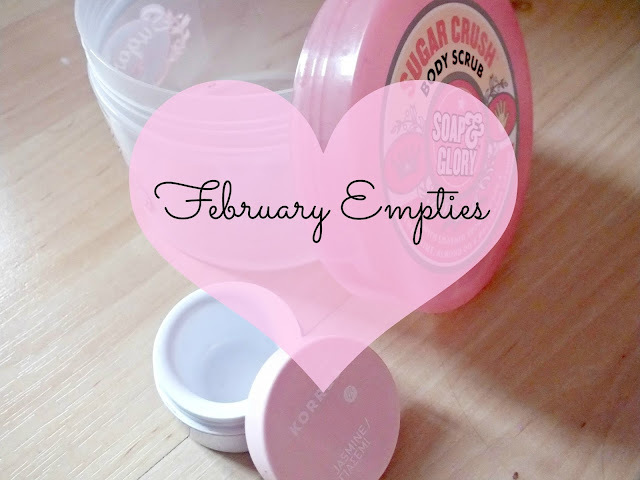 I'm trying my best to make these empties posts a monthly thing, for one thing, I find them really interesting and really enjoy reading them, but it's also great to actually use things up rather than have drawers and shelves full of half used products! Anyway onto the products! I received this a long time ago in a Glossy Box, I used it a couple of times and didn't really think much of it, but I recently rediscovered it and I've actually really enjoyed using it again. It's quite a thick oil, it's still very runny but it's not the lightest oil I've ever tried. It also has quite a strange scent, sort of citrussy, despite the name! I think this is definitely a winter product for me, despite the summery scent as it's super moisturising and I don't really fancy smothering myself in a thick oil in the summer! Repurchase? Maybe. I enjoyed using this product and made my arms and legs very soft and it's definitely the best body oil I've tried so far, but I'd like to try others before buying this one again. I was unsure on this scrub at first, because, despite what most other bloggers have said, the scent didn't instantly wow me. I found it a bit hard to get used to, but after using it a couple of times, it seriously grew on me and I was seriously sad to see it go! This is a fab scrub and the citrussy scent is really energizing in the morning. Repurchase? Eventually, I'm working my way through The Breakfast Scrub and have just bought Pulp Friction, but this will be back in my bathroom before long! Bit of a boring one I know, but I thought I'd include it anyway! I mainly use this on my clients as it's great for soaking off Shellac, but I have been known to use it as a super quick nail polish remover sometimes - shh! Now, I'm not condoning this, because acetone is not good to use regularly on your nails, it'll dry them out. But it works very well none the less! I bought this a while back as I needed a new moisturiser quickly and it was on offer in Savers so I thought I'd give it a go! While I liked this as a moisturiser, it is supposed give a light natural tan to the face and it was absolutely useless at that. I don't know if I got a dodgy bottle but this just didn't work for me. Repurchase? No, it was nice enough, but doesn't do what it says on the tin! This is one of the conditioners that comes with a hair dye, the dye was L'Oreal Feria in Metallic Silver blonde, I bought this to touch up my roots and I wasn't too impressed. It lightened my hair a little, but I've used way better dyes before that do a much better job! That said, it wasn't too drying and the conditioner was lovely! Repurchase? I'm not sure they sell this separately, but if they did I definitely would. I don't think I need to tell you all how much I love this shampoo. I'm pretty sure I've spoken about this several times on the blog before, but it seriously is THE best toning shampoo for blondes. If you're a blonde and you hair tends to go a bit yellowy, or you'd just like a bit more of an ashy tone, you NEED this in your life. Repurchase? Over and over again!! I've tried quite a few hair oils and while I know a lot of people love this, it wasn't my favourite. It's nice, but I think as my hair is quite fine, it's a bit too heavy for it. It was far too easy to use too much of this, meaning it often made my hair feel greasy. I also didn't find this as hydrating as some other oils. I'd heard quite a few rave reviews about this, so maybe it's just me doing something wrong, but I just don't think this oil is for me. I was so, so sad to finish this. I think this may be my most favourite lip balm ever. I did a full review here so I won't bang on, but I seriously love this. Repurchase? 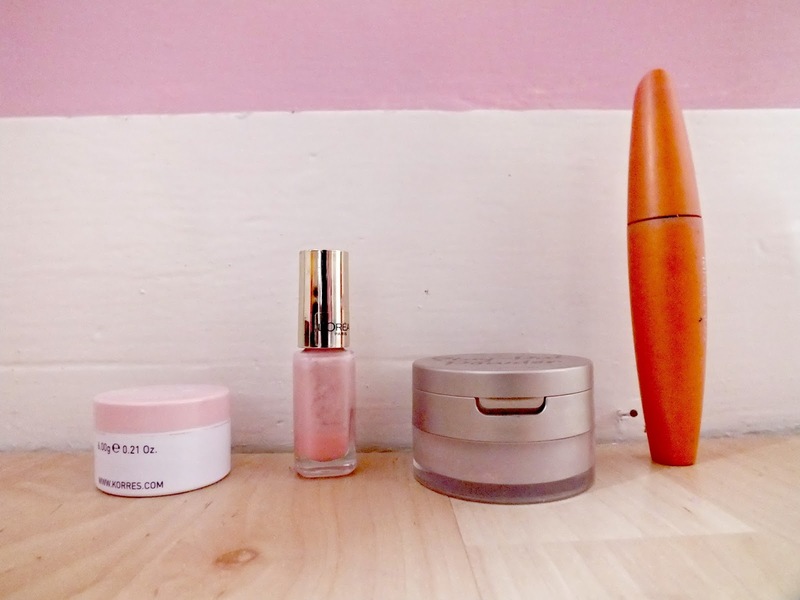 Yes, I have the Guava lip butter at the moment as well as various other lip balms, but I don't know how long I can live without this! I bought this not so long ago when buying a few look beauty bits and bobs. I love loose powders and I liked this one, but I feel like I had to use more of it than I have done with other loose powders and I wasn't best impressed with how long it lasted. 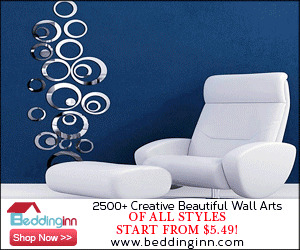 However, I did get this on offer and it did the job for a low price! Repurchase? Possibly, but I'd like to try some others first. This is a seriously old lashblast that I meant to include in an empties post forever ago, but I lost it! It turned up in the back of my cupboard so I thought I'd throw it in. This was sent to me by the lovely Ariel from chiclookxo.com and it's my all time favourite mascara. Ariel and I often do beauty swaps and this has been in every one of them! 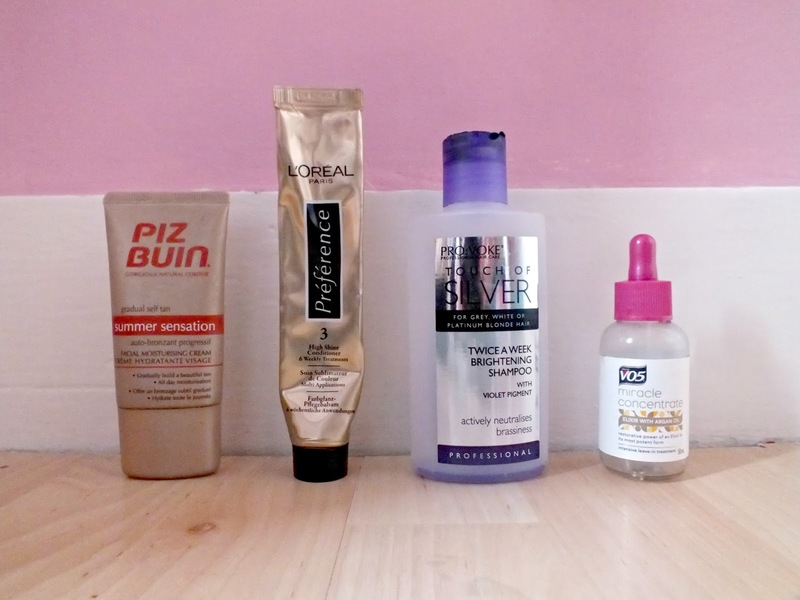 Hope you enjoyed reading this and let me know if you've done any empties posts as I love reading them! i still haven't tried anything from look beauty, i think i'm going to have to give a few of their bits a go! Love that L'oreal polish. Its so pretty! Really want to try the covergirl mascara at some point. I'll be checking TK maxx as they stock it! 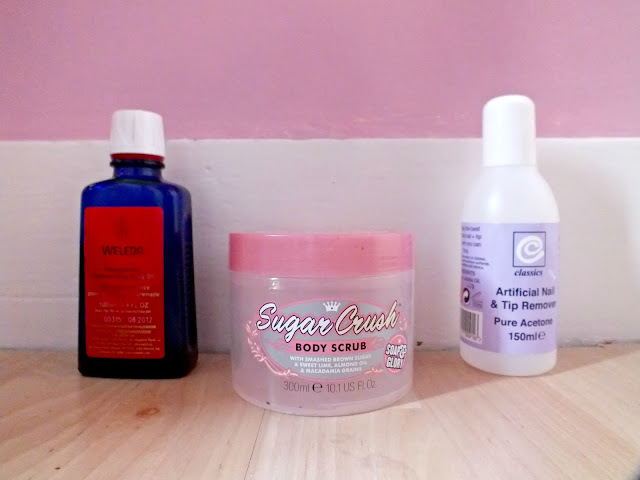 I really want to try the soap and glory breakfast scrub, i've heard so much about the range! that's awesome you've gotten through all those products! i take forever to get through products, haha!